Dan appeared on Good Morning America to discuss the photograph, recently released by ABC, of the head injuries reportedly sustained by George Zimmerman. 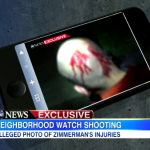 The first questions are clearly going to be about the accuracy of the photo, but Dan reports that the background does appear to be the crime scene, Zimmerman appears to be wearing the same thing, has the same haircut, etc. “The photo [also] has embedded data showing it was taken that day at a particular time, it was GO tagged.” In the end, he insists, it really comes down to the reporting, though. “Our reporters on the scene are saying this person who provided the photo is very reluctant to come forward.” We’ll have to see, Dan added – before something like this can be reported in a courtroom, they would need to have to determine it’s reliability. 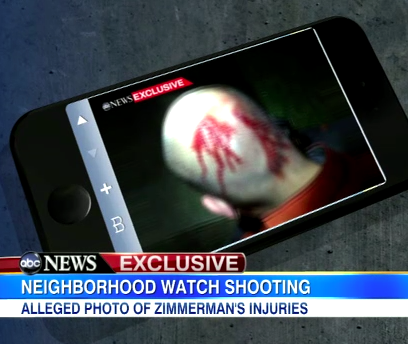 Not only that, but the photograph doesn’t change the fact that the prosecutors believe that Zimmerman was the aggressor. For Dan Abrams and the full discussion, watch here.